The Parlor palm, Chamaedorea elegans, is an upright, slow-growing, elegant plant native to Central America. It has a short, green trunk with reed-like stems and slightly arching, fan-shaped leaves. 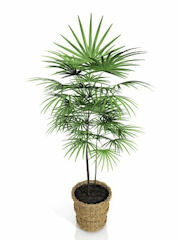 Also called a dwarf fan palm, the table palm, and the Neanthe bella palm. 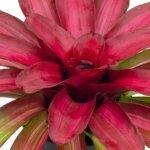 It remains relatively small and is widely cultivated as a houseplant, taking more than a decade to reach two or three feet tall. 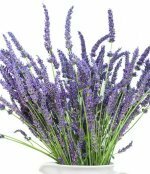 It adapts well to the indoors with minimal care; however, the air must not be too dry, because this will encourage spider mites and brown leaf tips. Spider mites are tiny insects that form webbing and appear as tiny specks on white paper. They thrive and multiply when the air lacks humidity. They cause damage by sucking sap from the undersides of the leaves. This problem can easily be solved by providing the plant with higher air humidity. trees can survive in shady areas. If given enough light, the parlor palm will blossom with clusters of yellow flowers. Place plant in a wicker basket for a decorative touch. This plant is very beneficial to the indoor environment because of its ability to remove certain pollutants such as formaldehyde, ammonia, trichloroethylene, toluene, and benzene from the air. It is definitely as asset if someone in your household smokes cigarettes. Light: Low to medium (near a bright window). Never place a parlor palm in direct sunlight. Watering: Water thoroughly, then allow the soil to drain and empty excess water; let the top one inch of soil dry slightly to touch between waterings. A well-draining potting mixture should be used. This is necessary to prevent root rot which can kill your plant. Be careful not to overwater during winter because less water is needed when plants are dormant and light and temperature are lower. Tip: Use room-temperature water when watering palms. Never use chilly or cold water. Allow chlorinated tap water to rest in the watering can for 1-2 hours so the chemicals dissipate into the air. Temperature: These plants need warm temperatures 70 to 80 degrees Fahrenheit during the day and around 60 degrees Fahrenheit at night. Keep out of cold drafts. Humidity: The plant likes a humid environment. Mist daily or place on humidity tray. A room humidifier will work well for this plant during winter when the indoor air is hot and dry. Tip: If edges of leaves turn brown, leach to remove excess salts. Repotting: Repot the plant in sterilized potting soil when it completely fills up the pot. They may only need repotting every 2-3 years. Spring or early summer is the best time to repot. Grooming: Wipe leaves regularly with a cloth dipped in lukewarm water. This removes and dust and any insects the plant may attract. This not only keeps them shiny and attactive, but enables them to perform better at purifying the indoor air.